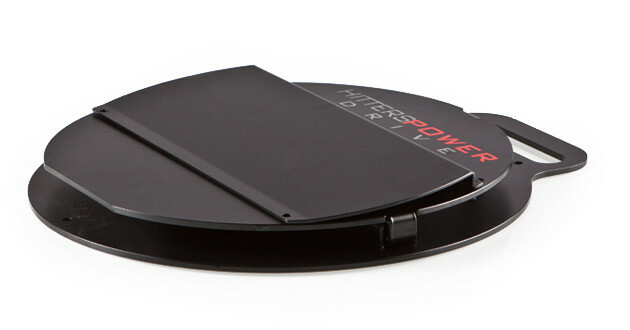 Softball Power DriveSoftball Power Drive | The Softball Power Drive softball pitching and softball hitting training aid that teaches players to maximize their lower body muscles for higher performance. 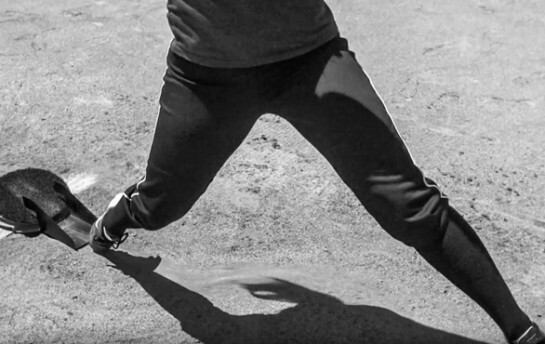 The “Original” US Patent Softball Power Drive training aid teaches softball pitchers to use their legs more effectively by linking up the timing from initial foot push with the proper body posture angle to be a softball power pitcher. All great athletes use their lower body power to maximize the kinetic chain to create explosive power. The Softball Power Drive maximizes the push of the softball pitchers foot as the starting point through the leg drive and body to finger tips which is the final link of the kinetic chain. 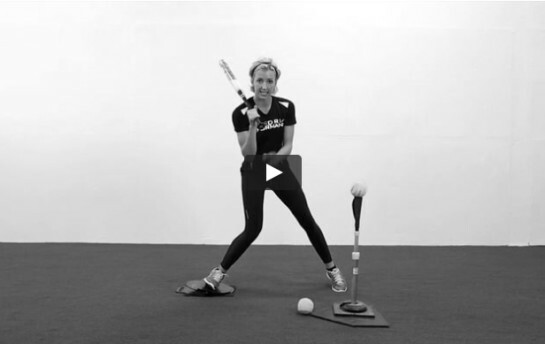 The Softball Power Drive with the US Patent channel mount technology teaches with softball power drills and by pitching live from the Power Drive to a catcher. The softball power drills are included with the Softball Power Drive. Also all Softball Power Drive owners have free access to our regularly updated web base training page. Softball power drills and softball skill building is presented by Winning Pitchers Academy, College Softball coaches and Softball Training Academy owners. 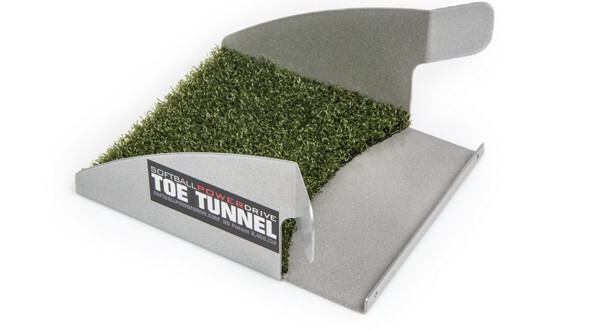 The Softball Toe Tunnel is an accessory to the Softball Power Drive which trains pitchers not to heel drag as they drive off mounds rubber. This is a great training tool for those pitchers that have the habit of rolling over their ankle/foot to a heel drag position. 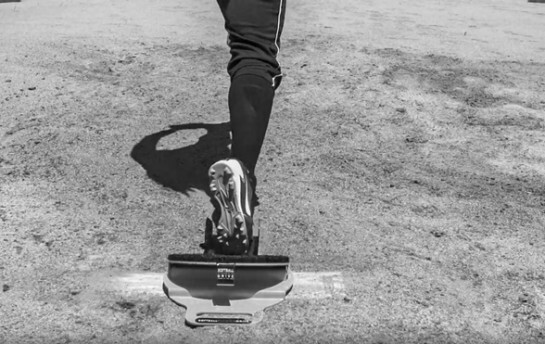 Heel drag acts like a boat anchor reducing power from stronger lower body and pitch velocity. 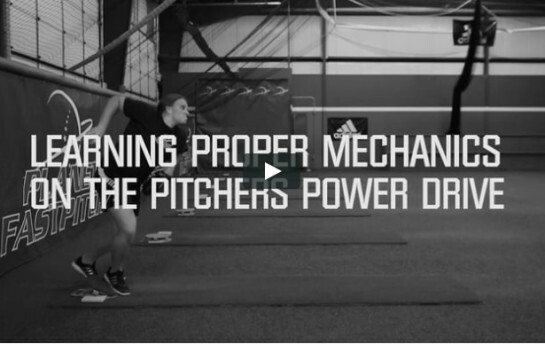 Power Drive Performance and Winning Pitchers Professional trainers designed in lessons for over a year. Amanda Scarborough, Texas A&M two time All American and Denise Davis, owner of Planet Fastpitch also tested the Toe Tunnel in lessons. The result was the perfect design, size and placement that corrected pitchers heel drag. 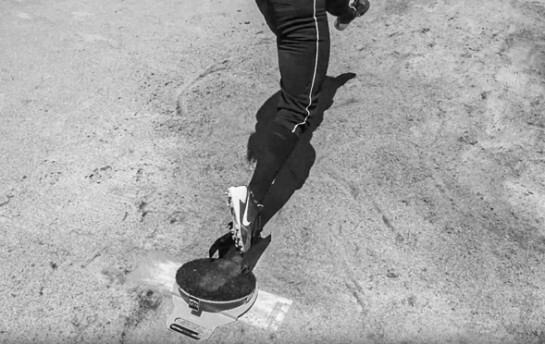 The placement of the Toe Tunnel was designed specifically to be in front of rubber at toe touch point to ground and extends out where heel drag occurs. It locks into the Softball Power Drives US Patent mount channel. Two models were designed for age appropriate training and practice reinforcement. A Youth model and Collegiate model. The Youth design supports proper training for less experienced pitchers with a narrower, longer and higher design. This also supports a smaller foot size. The training area dimensions are 7″ L x 5 3/4″ W x 5″ H. The Collegiate model is designed for experienced pitchers with a lower profile, shorter length and larger width to accommodate a larger foot size. The training area dimensions are 5″ L x 6 1/2″ W x 3 3/4″ H. All Power Drive Performance training aids are designed through thousands of lessons to allow proper practice to learn skills to increase game performance. Toe Tunnels are made 100% in the USA of American produced steel. 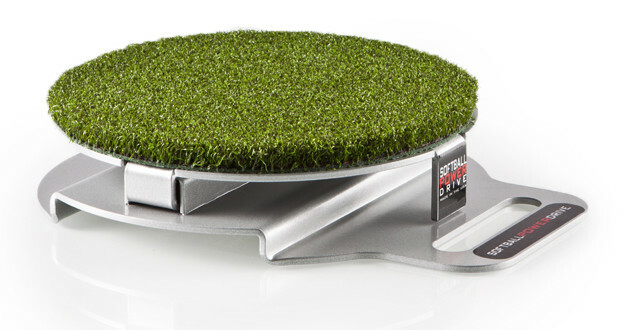 Both models are available in metal or turf for use with cleats. They both are available in silver or black colors and come with a 5 year warranty. The best to your training! Professional instructors at Winning Pitchers Academy have been marking up our training lanes and mound turf for 12 years with large pieces of side walk chalk. Using this visual training process of instruction is essential to increase students skills and performance. Now Winning Pitchers Academy and Power Drive Performance brings you the best designed training mats ever made for professional training at home, high school, college or pro levels. They are 3’x10′ PITCHING MAT, 3’x3″ PITCHING MAT and MAT. 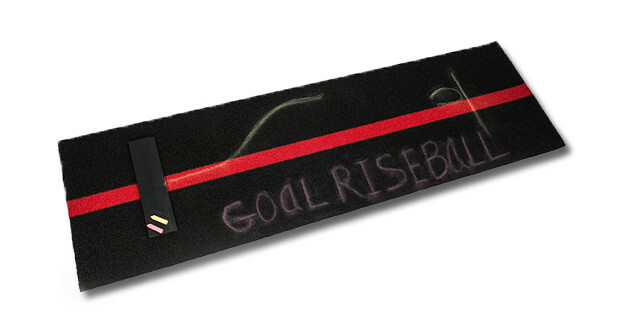 FEATURES of POWER DRIVE CHALK MATS: Black turf for visually presentation of training with chalk lines, marks, circles, X’s and written goals. Includes 2 large pieces of sidewalk chalk. Thick 4″ bright red line sewn into turf on all mats for important pitchers & hitters stride line. Step down rubber that simulates game mound drive foot position to increase pitchers power drive. Teaches proper toe down for softball and drive angle for baseball. All mats available in FOAM BACKING with skid pad for hard surfaces such as wood, cement or tile or FLEECE BACKING for indoor carpet or turf surfaces. 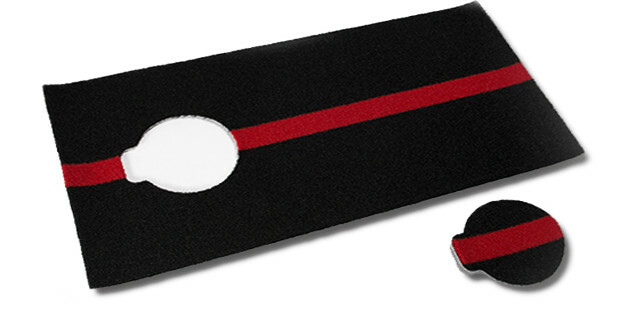 3’x3′ Mini mat is longer at 3 ft. vs. standard 24″-27″ mini mats. Extra foot adds more room for Power Drive and Toe Tunnel mounting, more Fastpitch toe drag area for visual measurement & increases mats anti skid contact floor surface. Heavy duty 100% USA construction. Extremely thick and dense turf mat. Spike proof 36 oz. turf weight per square yard. Weight is 109 oz. per square yard with height of turf height at 3/4 inch. Built to last for all ages, youth through professional. Best warranty of any training mat – 2 years. The Softball Power Drive being used by over 300 top level softball organizations/teams including 500 Hitters Power Drive. The Softball Power Drive has become the “Choice of Collegiate and Professional Softball Players” because it is a great training aid. Review the web site pages of high level softball players, instructors, teams and coaches who are already improving Fastpitch softball power performance with the Softball Power Drive. Power Drive Performance and Winning Pitchers Academy is a training company that develops player skills through lessons to reach their highest potential. We care about softball power training tools that transfer teaching to increase softball player performance. The US Patent Power Drive Performance training aids gravitational force operation allow athletes to practice in live game environment with a proper natural momentum delivery or swing. This is why over 500 Collegiate and 22 MLB teams are training on Power Drive Performance training aids. The “ORINGIAL US PATENT” design. The Softball Power Drive is the “ORINGINAL US PATENT” training aid used for both softball pitching and softball hitting. Practice in real game conditions from the mounds rubber with US Patent channel mount technology. This US Patent mount around technology fits tight over the rubber which prevents any slippage or movement to allow a clean power drive. Also the power plates US Patent pendulum design operates on athlete’s gravitational force ONLY to allow a natural momentum delivery or swing just like professionals in a live game. No springs to alter a delivery or swing. It is made in the USA of solid steel weighing 15 lbs and built to last a life time. Also includes an anti skid pad for flat ground drills and softball hitting use. The Softball Power Drive is the first US Patent softball pitching and softball hitting training aid that teaches softball players to maximize their lower body muscles for higher performance by creating more power. It was developed from the trainers, coaches and inventors of the original US Patent Pitchers Power Drive for baseball. 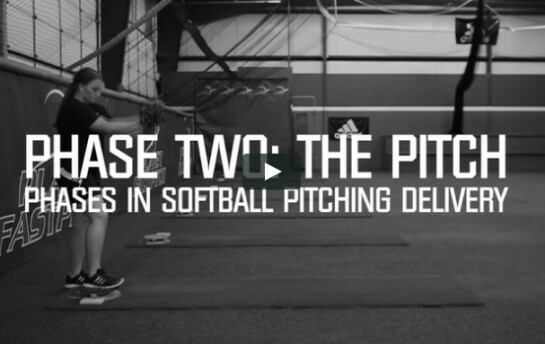 The Softball Power Drive teaches players to use their stronger lower body muscles to pitch and hit for more softball power and success. The US Patent plate to plate auditory click tells the player they are maximizing the kinetic chain starting from the ground up by using the power of legs, hips and torso. 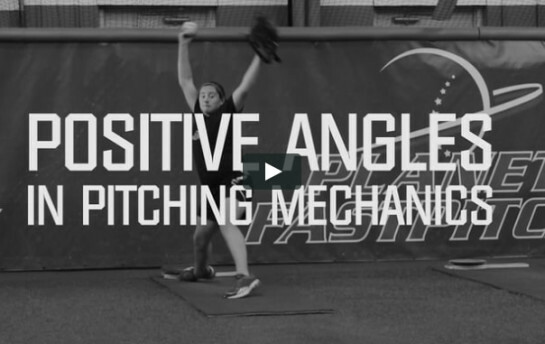 This generates a stronger softball pitching and softball hitting power drive and hip drive which increases pitchers velocity and increases hitter’s power swing by proper use of lower body. US Patent gravitational force design allows proper timing of auditory click when plates contact each other in athlete’s natural momentum delivery or swing.